Get a look up close at the two Mythen sisters on this beautiful hike. The gondola takes you up to the start and down again from the finish. This makes the scenic hike easy enough for families with children. 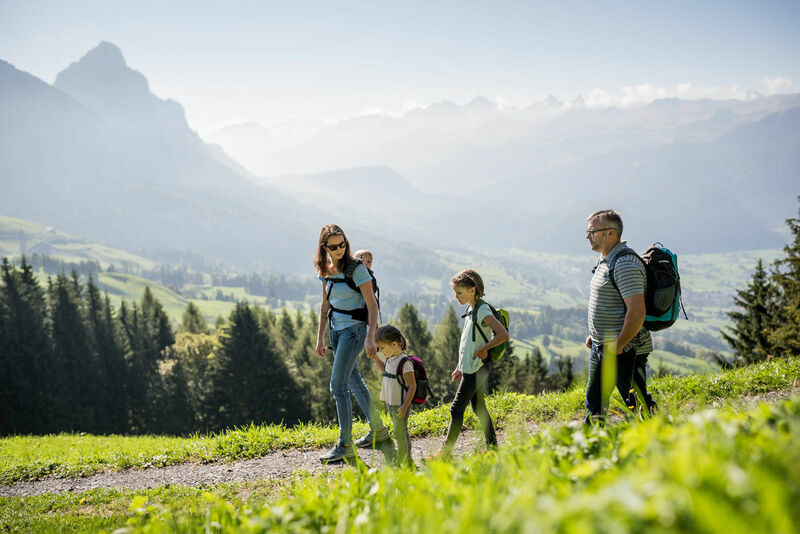 Enjoy the wonderful views of the Alptal, the Schwyz Basin and, of course, the Mythen twin peaks. Choose one of several mountain restaurants along the way for a refreshing break. The hike lasts about 3.5 hours, and all tracks are easy to walk on. You can do the Mythen round trip in the opposite direction as well.